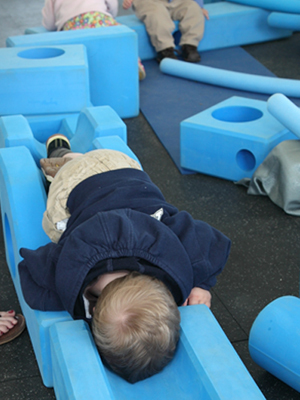 A lot of people ask us, "What is Imagination Playground™?" It's something that's hard to explain in words. 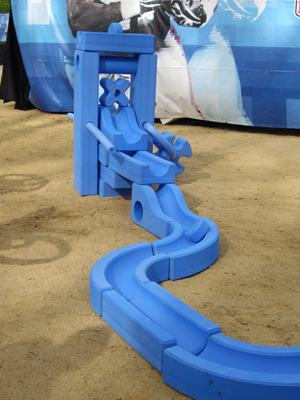 The truth is, Imagination Playground™ can be (almost) anything you want it to be. 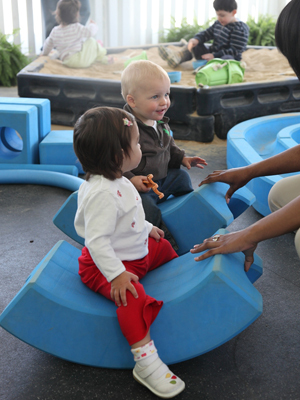 Sure, we can launch into our spiel about how it's a "breakthrough playspace concept designed to encourage child-directed, unstructured free play"—but to truly understand Imagination Playground™, you have to experience it for yourself. A miniature golf course? A marble maze on steroids? An imitation luge? 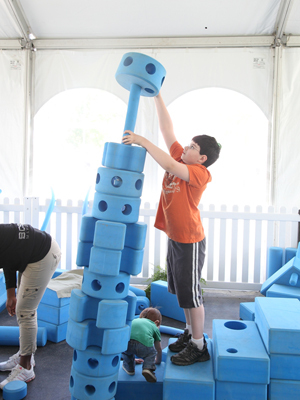 When a tower gets too high, kids can make stairs to keep building! 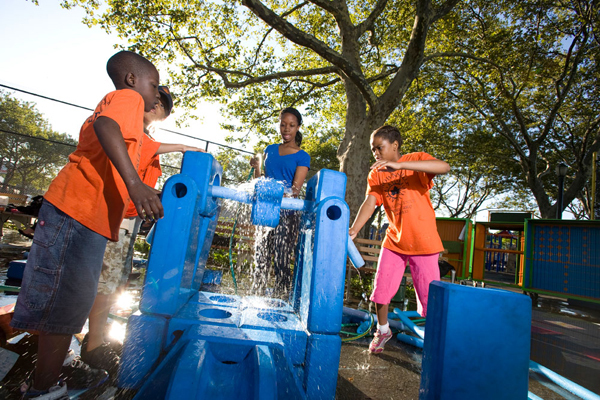 Kids can create their own water parks with a hose, some blocks and of course, a healthy dose of imagination. Here's an innovative seating area for the parents, complete with an ottoman to rest those tired feet. Adults don't have to sit on the sidelines. 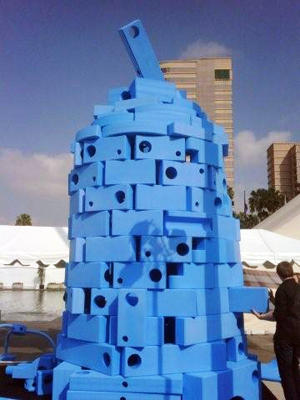 At the 2010 TED conference, a group of "big kids" built this... igloo? Spaceship? These big kids, otherwise known as KaBOOM! 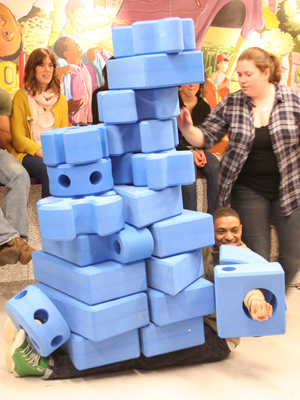 staff members, competed to see how many blocks we could pile on one person. Sometimes just one block is enough to keep the wee ones occupied. With a little bit of imagination, it almost looks like a rocking horse. Worn out from too much playing? Build yourself a bed and take a nap! 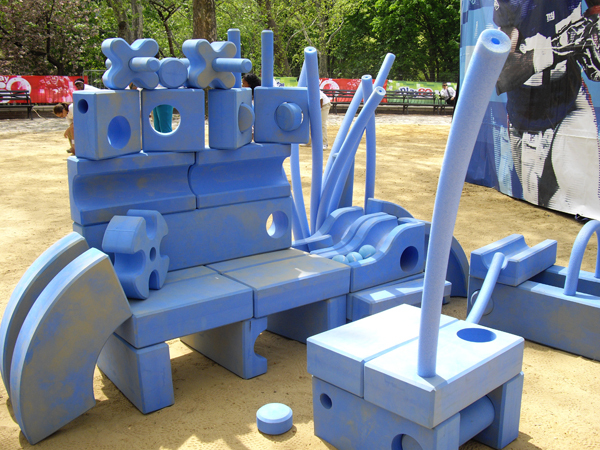 To learn more about Imagination Playground™, visit imaginationplayground.org.